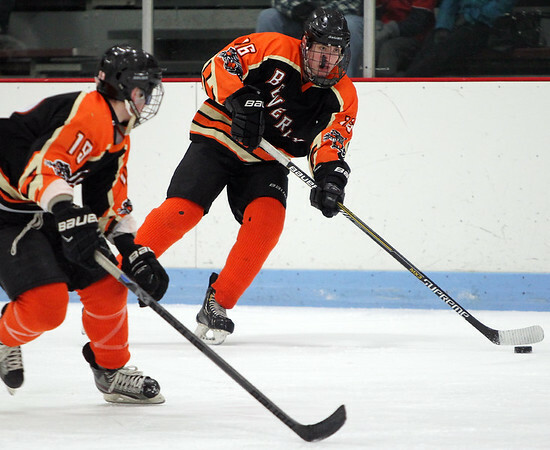 Beverly junior forward Ross Wahl (16) makes a crisp pass to teammate Clinton Cabral, left, streaking up the ice. DAVID LE/Staff photo. 1/19/15.